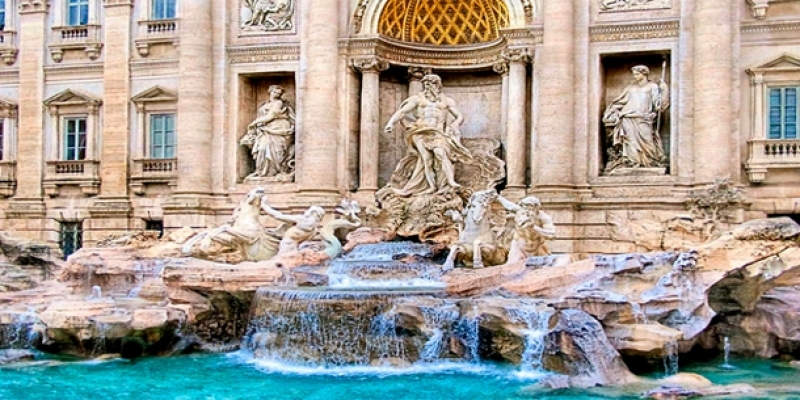 10 day customized tour of Italy, covering numerous highlights as you make your way from Rome to Milan. 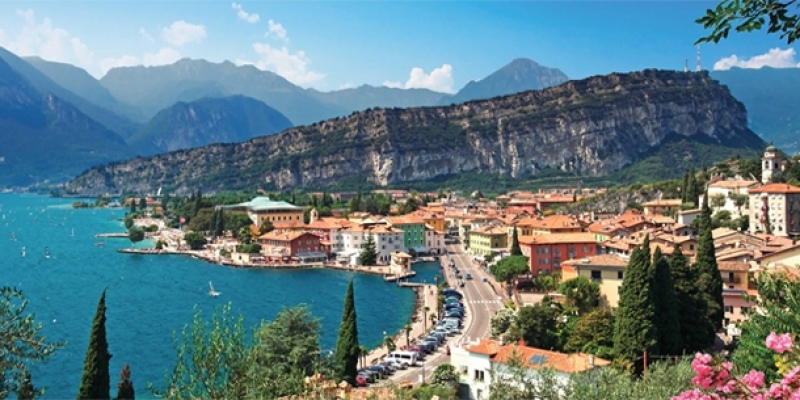 Experience Rome's ancient civilization, explore the Umbrian town of Orvieto, marvel at the Piazza del Duomo in Florence, drive through the rolling hills of Chianti, fall in love with Verona & Venice, visit the Villa Balbianello with its terraces overlooking Como lake ... so much to discover and enjoy during a private tour of Italy. Meet in the arrivals hall of Rome Fiumicino Airport and transfer on to the hotel to get settled in. In the afternoon enjoy a private guided walking tour discovering the Roman Forum, nearby Arch of Septimius Severus, the Colosseum and other historic monuments as you stroll through the streets of the "Eternal City". Overnight in Rome. Today your guide takes you inside the Vatican Museum, the impressive St. Peter’s Square and Church, the Raffaello’s rooms and the Sistine Chapel. Then explore additional sites of Rome including the Pantheon, Piazza Navona, Trevi Fountain, Piazza di Spagna and the Piazza Navona. Remainder of day & evening then free at leisure. Morning departure to the charming town of Orvieto where you can view its many interesting churches, palaces and the magnificent Duomo. Continue to Civita di Bagnoregio, accessible only by a spectacular pedestrian bridge. Then on to Florence, arriving in the late afternoon with remaining of day & evening free to relax or stroll around on your own. Enjoy an historical walking tour of Florence through the heart of the city along streets and alleys to the medieval quarter. Continue to Santa Croce Church, a gorgeous church with frescoes by Giotto, architecture by Brunelleschi, and the tombs of Michelangelo, Galileo and other Tuscan cultural giants. Next Piazza del Duomo to marvel at the vast Cathedral with its magnificent Cupola del Brunelleschi, the Giotto bell tower and St John's Baptistery with its bronze doors. Afternoon and evening free at leisure. No visit of Italy would be complete without a pictureque drive through the rolling hills of Chianti to Siena where on arrival your guide takes you through the historical streets admiring the Palazzo Salimbeni, the magnificent Cathedral and other landmarks. 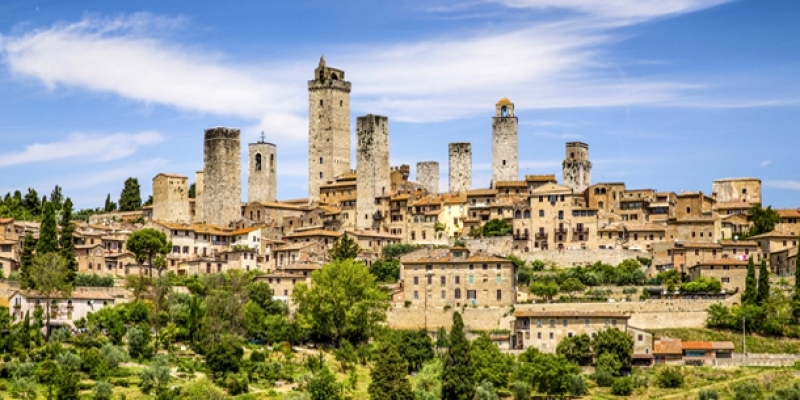 Before returning to Florence also visit San Gimignano, known as the City of Beautiful Towers. Today depart northwards to Venice. On the way make a stop to visit the town of Verona, famous as the setting of Romeo and Juliet, along with its many historical buildings from the Medieval and Renaissance periods. On arrival in Venice enjoy a guided walking tour around the famous historical sights such as St. Mark’s Square, the Basilica with its interior and the Bridge of Sighs. Visit inside the Doge’s Palace, providing a deeper understanding of the power of Venice's past. Overnight in Venice. You have the choice of a full free day at leisure to further explore on your own or we could add additional sightseeing such as morning tour to the lagoon islands of Murano, Burano and Torcello / or tour covering hidden alleys & canals including a gondola ride / or tailor a tour according to sights that you would most prefer to visit. Overnight in Venice. After breakfast and check-out depart on the drive to Milan. In the afternoon explore the famous monuments of this city such as the Duomo, Galleria Vittorio Emanuele, Piazza della Scala with the famous theatre etc. Overnight in Milan. A day trip out to Lake Como, the third largest lake in Italy surrounded with scenic towns, is a great way to finish off your time in Italy. By schedule ferry head to Bellagio and visit various villas with terraces & gardens overlooking the lake (Villa Serbelloni, Villa Melzi, Villa Balbianello & Villa Carlotta). Return to Milan with evening free at leisure. Breakfast, check-out and as per your flight departure time transfer to Milan Malpensa Airport or Milan train station.